Description: The Association has been in existence for over thirty years starting in a local school. 1989 saw the completion of a modern purpose-built replacement complex with the addition of a bar. A varied amount of activities are available plus rooms and hall also available for hire. Availability: Seven days a week and every night. Please contact for further details. Charges: Please contact for further details. 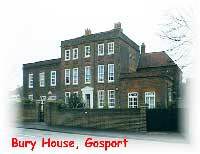 The Gosport Community Association, possibly better known as Thorngate Halls is situated in Bury Road, Gosport, Hants. We welcome everybody to join in our many activities, be it Club, Group, Education or Social. There is always something interesting and challenging to do, so why not come along and pursue a wide range of activities. The human body contains enough fat to make seven bars of soap and enough iron to make a single one inch nail. Most heart attacks occur between 6:00 a.m. and noon when blood pressure naturally rises. Twenty-six astronauts have reported seeing UFOs while in orbit around the Earth.